Attention all men! Join us on Monday! We meet casually at Peet's Coffee off Catalina, by Jensen's (955 Catalina Blvd.). 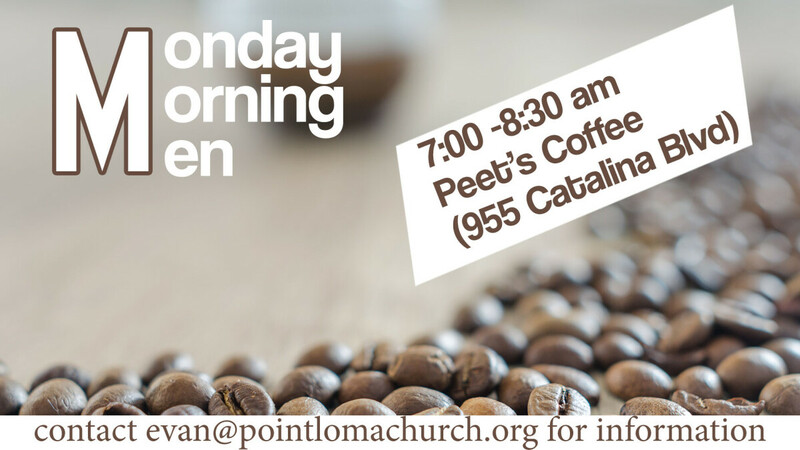 Stop by anytime between 7-8:30am. This is a casual time of connecting, but also an intentional time of being together. Each Monday there will be a weekly "take home" devotional provided, so if you're in a rush, please still swing by to grab that, a coffee and some encouragement. Contact for more information.